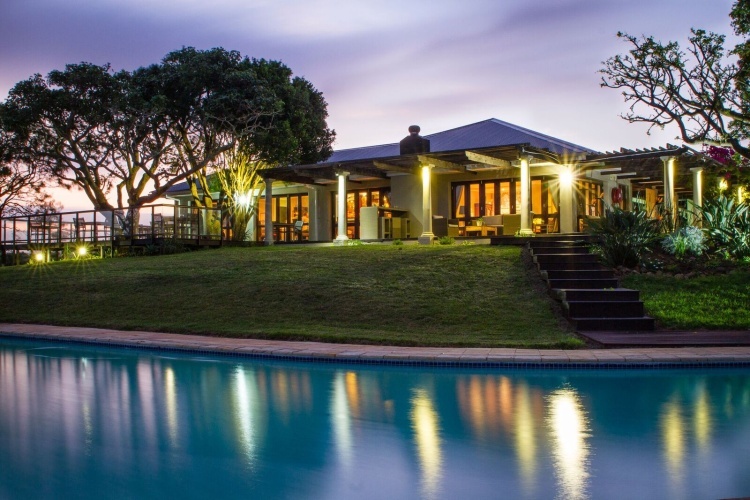 Miarestate Hotel & Spa is a 5-star boutique hotel and spa destination located on a beautiful wildlife estate in the nature conservancy of Haga Haga on the Wild Coast. Providing child-friendly accommodation and an in-house programme of activities for young travellers, Miarestate is an excellent choice for luxury family holidays. Outdoors, guests enjoy guided nature drives and walks, beach outings, horse riding, fishing and biking, whilst the hotel’s gym and spa allow guests to maintain fitness and wellbeing. In addition to nine rooms in the hotel, there is also a self-catering retreat that sleeps four on the estate. Miarestate is an hour’s drive from East London. There's currently no specials at Miarestate Hotel & Spa. Miarestate does not have a conference venue. There is, however, an outdoor amphitheatre for weddings.